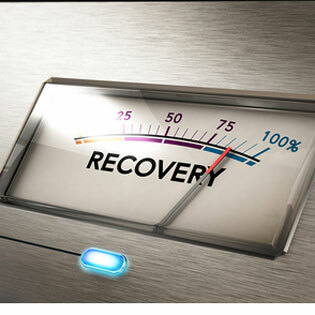 Most businesses are aware that going it without any disaster recovery plan is a huge mistake. Disasters aren’t always big newsmakers like super storms and massive cyber breaches. Most disasters come in under the radar. A nearby water main bursts and floods your offices, or the bakery in the bottom floor of your building left their ovens on all night, and now your entire business is crispy muffins. But drafting some nebulous plans about restoring your systems from backups isn’t disaster recovery. A poorly planned, outdated, or haphazard disaster recovery plan is almost as bad as having nothing. In fact, it could be worse, because you’re actually depending on the thing to protect your business and its interests in the event of an emergency. Here are the top reasons your DR plan may be all but worthless. Backups are indeed the backbone of a good disaster recovery plan, but backups in and of themselves are not DR plans. DR planning involves specific instructions on how backups will be restored, by whom, and to where. For instance, say your facilities and machines are completely destroyed by fire, or perhaps made inaccessible by a gas leak, flooding, or downed power lines in the area. You’d need alternate facilities and replacement computers to even back up to. Those are the kinds of things that go into a DR plan, and why just having backups isn’t enough. You also need cloud-based backups, because it’s probable that anything severe enough to damage or destroy your facilities and equipment is also going to take out or render inaccessible your onsite backups. Download our cloud report to learn more about the advantages the cloud offers. Disaster recovery plans should be specific enough that they are rendered unusable if you upgrade your systems or replace your employees. For instance, if all your employees are now working on virtual desktops, this would require a complete reworking of your disaster recovery plan that was developed when you were still using local operating systems. If your DR plan says something about restoring Windows XP, it’s time for an update! Similarly, disaster recovery plans should specify which people take on what roles, and assign backup roles in the event that a worker is unable to make it in due to the disaster. As new people come and other employees are promoted or leave the company, the DR plans should be updated to reflect these changes. While disaster recovery plans are essential, always remember that they are a subset of a holistic business continuity plan. Business continuity planning is the planning necessary to keep your business operational under a variety of conditions. It should include plans to address minor happenings, such as temporary power outages, or major occurrences, like a massive data breach or ransomware attack. Disaster recovery is the element of your business continuity planning that includes how you’ll restore operations if they do happen to go down. Business continuity doesn’t just involve IT; it involves every aspect of running your business. If you boiled down all the mistakes companies make with disaster recovery planning — especially smaller business and startup companies — it could all be summarized like this: they didn’t partner with the right professionals.